WILLIAM F. "BILLY" BURGE, III is President of Ayrshire Corporation in Houston, Texas, founded by his father in 1946. Billy is through and through a developer of public projects and real estate including the Houston Metro Railway System, the Reliant Center NFL Stadium, the Toyota Center NBA Arena, and the Minute Maid Park Baseball Stadium. 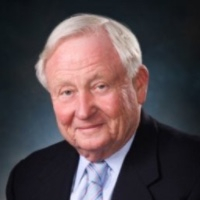 Billy has served on numerous boards of banks, businesses, service organizations, and colleges. His most recent appointments are as Chairman of the Board of the Houston Department of Health and Human Services Foundation, Inc., and as a member of the Harris County Precinct One Street Olympics Board of Directors. Billy has had a long relationship with NCF’s president emeritus, Dr. Bruce Narramore, with whom he roomed at Westmont College. He has a big heart for home and international missions. He provides experience, leadership, and support for NCF in finances and global outreach. Mitch recently retired from a 40-year career as a Certified Public Accountant. He had been serving as a shareholder in a CPA firm in Grand Rapids, Michigan, specializing in accounting and auditing. 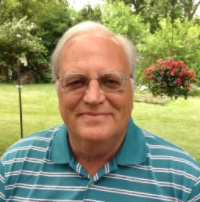 He is active in his Grand Rapids church and serves as their long-time treasurer. Mitch and his wife, Jan, became interested in counseling ministries and, in particular, counseling of missionaries and their children through their long friendship with Tim and Cindy Hibma, who currently serve as president and vice president of NCF. He and his wife, Jan, have four children and three grandchildren. A native of South Dakota, Mitch's hobbies include adding to his boyhood collection of baseball cards and plans to reassemble a vintage sound system to accommodate his reel-to-reel and vinyl record collection of classic rock. Kristy serves as the Director of Missionary Kid Care at International Ministries, based outside Philadelphia, Pennsylvania. She grew up in Japan as a missionary kid, so understands first hand the challenges of living cross-culturally and the need for quality care for missionary families. Kristy holds a Psy.D. in Clinical Psychology from Rosemead School of Psychology. She is passionate about applying psychology to the world of missions. Kristy and her husband, Matthew, share a love of Japanese food, exploring new places, and making a difference in people’s lives. 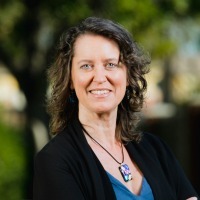 Elizabeth is Professor of Psychology at Rosemead School of Psychology, Biola University. 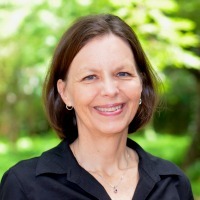 She teaches courses in the integration of psychology and theology, and has written numerous integrative articles and book chapters in both Christian and secular venues. Her experiences as a TCK (third-culture kid) have given her an enduring interest in the psychological needs of missionaries, and she has done research in this area, as well as guest editing two special issues on the topic in psychology journals. She draws on her personal and professional experience as a psychologist to inform the work of NCF. Cindy is the Vice President of Operations for NCF. She and her husband Tim have been co-directing NCF since 2014. Her training as a registered nurse and past experience in obstetrical nursing and education, nursing informatics, administration, and medical missions have created a rich life tapestry. She lived for 9 years in Chiang Mai, Thailand, where she worked at Cornerstone Counseling Foundation as administrator and intake coordinator, and as seminar coordinator for NCF’s Counseling and Member Care Seminars, a role she continues to fill. Tim is the President of Narramore Christian Foundation. 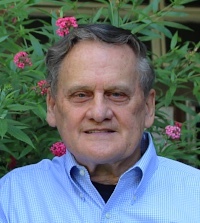 Tim has worked as a Christian counselor since 1977, serving Christian organizations in residential care, inpatient psychiatric care, and outpatient services. A particular joy was to live nine years in Chiang Mai, Thailand, and serve as a counselor at Cornerstone Counseling Foundation (CCF), established through the vision of Narramore Christian Foundation to bring Christian mental health services to Kingdom workers in Asia. Tim also served CCF as Executive Director for several years. Tim’s many experiences in Christian service in the U.S. and Thailand, as well as several short-term mission experiences, have helped prepare him to lead NCF since 2014. It is his joy to help NCF fulfill its mission to bring Christian psychological services integrated with Scripture to underserved workers in the Kingdom. 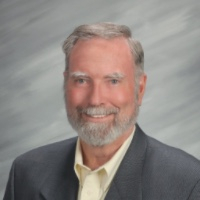 Bill holds doctoral degrees in theology and psychology, and has served as pastor, professor, author, and clinical psychologist over a span of many years. He is currently a member of the NCF Board of Directors’ Executive Committee, as well as the Program Director of the modular Christian counseling doctoral program of the Asia Graduate School of Theology, hosted at the Biblical Seminary of the Philippines. This PhD program, offering a high level of both academic and clinical training, is funded in large part by NCF. Bill has developed a sense of calling to the Asian countries which are just beginning to seek effective mental health training. The present cohort is comprised of students from many countries in Asia. Bill resides in the Philippines several months of the year with his wife, who participates in the program as a counselor and provides individual therapy with a number of the students. John is a partner in the law firm of Leibold, McClendon, and Mann in Irvine, California. He specializes in environmental land use, housing, and water law. He holds B.A degrees in Philosophy and Russian from Westmont College and the University of California, Irvine, respectively, and the J.D. from the University of Southern California. John has served on the NCF Board of Directors since 2000 and brings an attorney’s perspective to NCF's board discussions. He and his wife Heather are parents of five children and active in Saddleback Church. 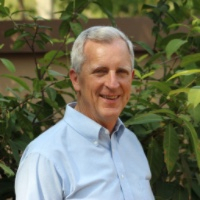 Bruce is president emeritus of the Narramore Christian Foundation and continues working part-time consulting and writing for NCF. He was the founding dean of the Rosemead School of Psychology where he taught courses in psychotherapy, theology, psychopathology, and the integration of psychology and theology for 42 years. He has authored or co-authored ten books on parenting, personal adjustment, and the integration of psychology and theology. Bruce's wife, Kathy, is the daughter of missionaries to China. Together, Bruce and Kathy enjoy devoting time to working with missionaries and their children. Todd is the Vice President of Sales with Jubitz Corporation in Portland, OR. He has worked in various business positions over the past 20 plus years including Accounting, HR, Operations, Management, and Sales. Todd got his first missions experience while working with orphan teenagers in Romania right after college. He has led short-term missions training, debriefing, and reentry seminars for multiple churches in both Southern California and the Portland / Vancouver area. 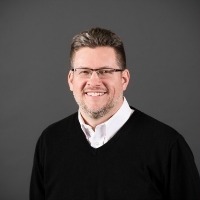 This connection with missions, missionary care of short-termers, and joining God’s Kingdom work in everyday life — living missionally — is what drives Todd’s passion to work with and be part of the NCF board.